AIG Tower is located in the Central District of Hong Kong, on a site that was most recently home to the former Furama Hotel. 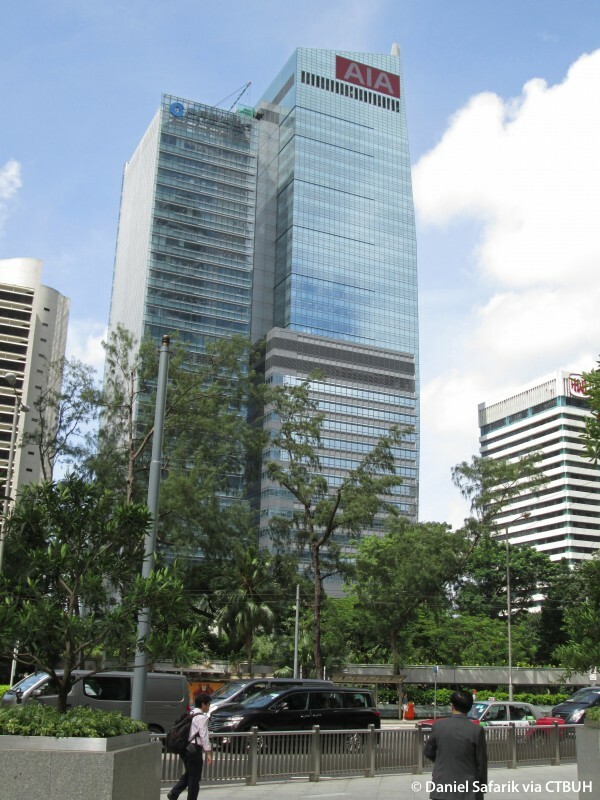 Developed as a joint venture between AIG, CapitaLand, and Lai Sun Development, the building holds further distinction as the site where AIG opened its first office in the territory in 1930. 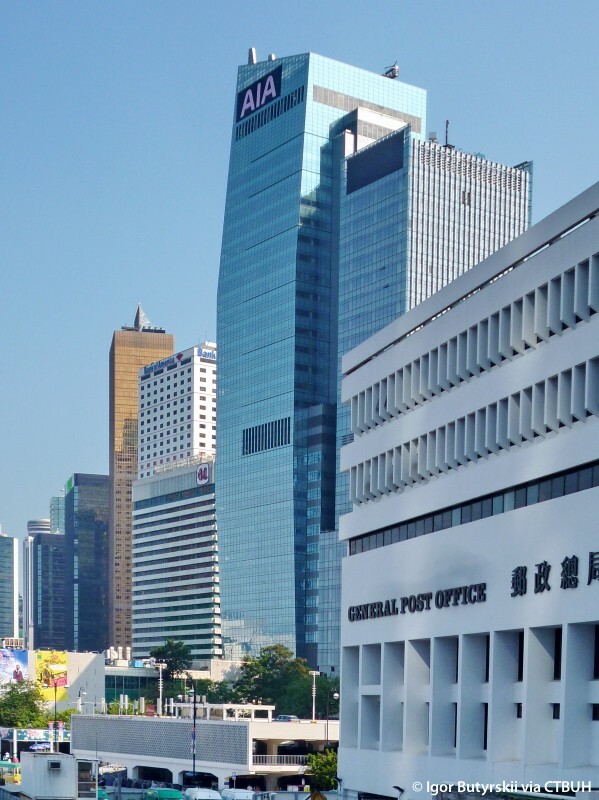 The architectural design draws upon the visual imagery of Chinese junks that were vital to the city’s economic growth. 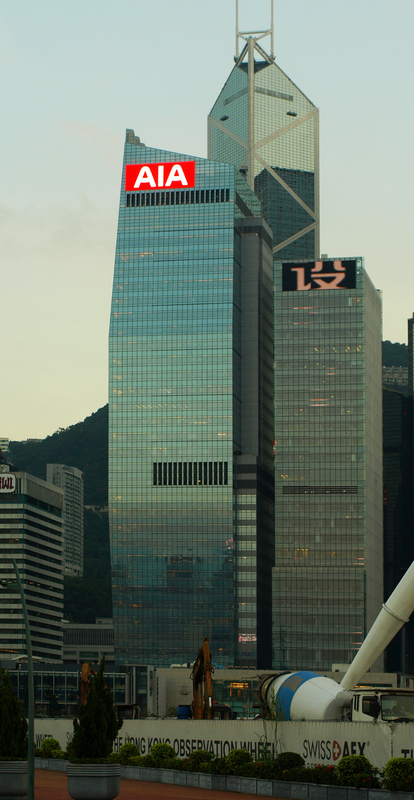 The building’s form, tapered at its base and apex on three sides of the building, evokes the sails of the vessels which once crossed Victoria Harbor. Large floor plates provide modern, flexible space and reduce the number of stories needed to meet Owner requirements. Structurally, the lateral load resisting system consists of a reinforced concrete core coupled with exterior steel columns through two-story steel trusses at the mid-rise refuge floor and the third floor mechanical level. Serving dual functions as outrigger and transfer trusses, this resulted in an efficient structural system with a high degree of robustness, while providing flexibility in meeting architectural and programming requirements. Additional program considerations include the reuse of foundations from the Furama Hotel, which minimized the impact to neighboring structures; and adhering to stringent vibration requirements due to the proximity of the Mass Transit Railway, which prevented the use of additional pilings. 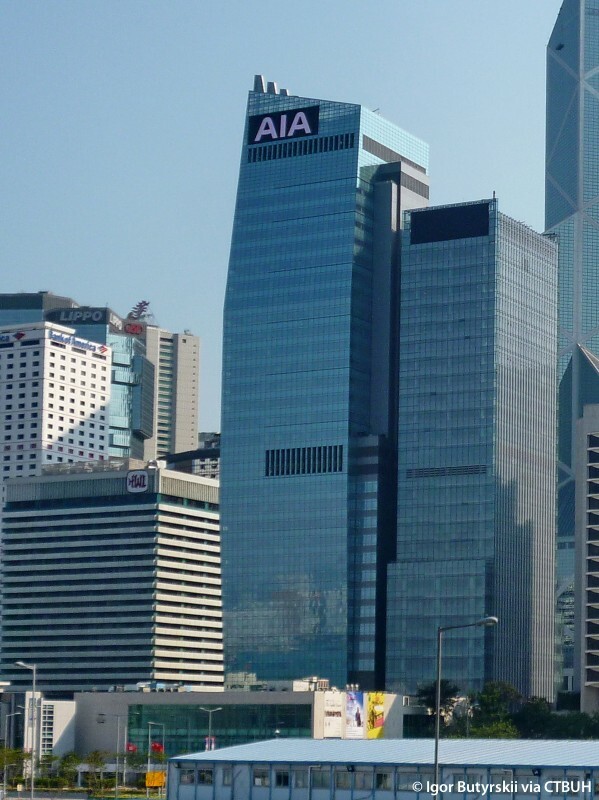 Furthermore, the fewer floors of building core, lift shafts, and stairs effectively reduced the amount of construction materials, resulting in a more environmentally friendly addition to the Hong Kong skyline. 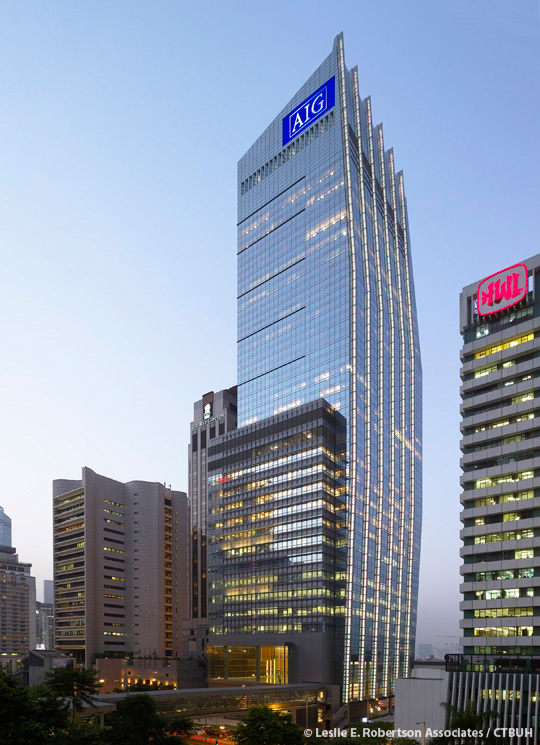 These structural contributions to the project were integral to the “Excellent” rating issued by the Hong Kong Building Environmental Assessment Method (HK-BEAM). 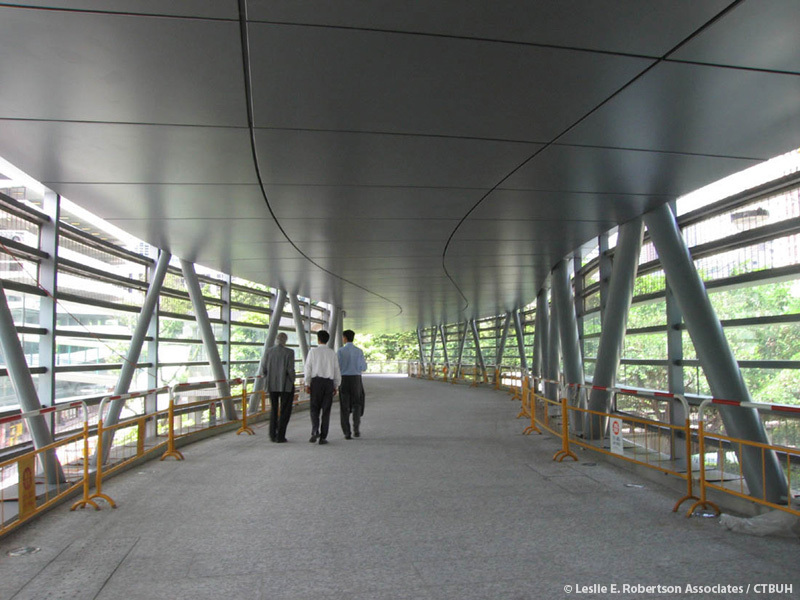 Finally, the striking design of the associated footbridge advances the state of the engineer’s art. 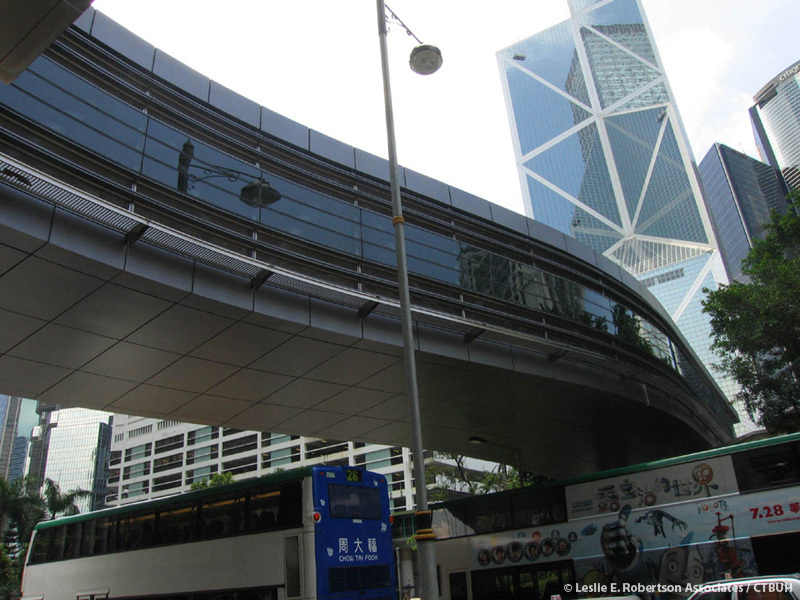 The new footbridge links the AIG Tower to the Hong Kong elevated walkway network and enhances convenience for pedestrians. Spanning 45 meters (150 feet), the partially enclosed bridge is formed from an asymmetrical box truss, S-shaped in plan. The truss is supported by pipe diagonals of diminishing sizes which architecturally express the flow of forces.